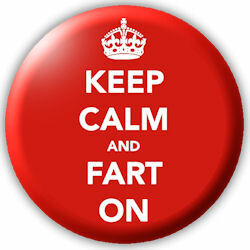 Sarasota Massage - Mending Hands - Melissa Finley - SRQ 34239: Farting During a Massage is Normal. Really! Farting During a Massage is Normal. Really! Let's discuss more of the Absolutely Human - ness of happenings during a massage (such as stomach growling, needing to pee, having a cry & getting stuffed up). It's is also totally normal to fart, toot, pass gas, shoot bunnies, fluff, poot, let one rip, floop, break wind, squeak, effluviate, flutter the sheets, let a windy or piffle during a massage. As we talked about in the post about Borborygmi, Massage has a way of helping things move along and getting your systems working in a better and more effective way. Massage has been shown in many studies to stimulate and support healthy digestion. So the intestinal gas (that is composed of varying quantities of air that is ingested through the mouth & gas produced by bacteria within the digestive tract) can get moved along to the end of the line! Partner that with the relaxed muscular state massage can create and what you get is a totally human response. People fart during massages. They do. And that's normal. Really!